· regular assessing of pupils to identify those requiring intervention so that all pupils keep up. Obviously it would be impossible to set out in detail everything your child will learn during their time at Corpus Christi, however by outlining the typical content and some background information about how the curriculum works, hopefully it will help you support your child in making the most of their education. 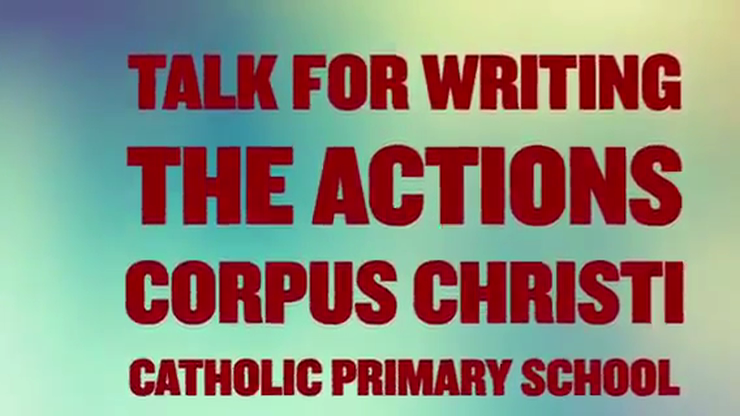 In Corpus Christi Religious Education is a core subject and the school follows the lead of the dioceses by delivering the 'God Matters' syllabus. The National Curriculum sets out in some detail what must be taught in Mathematics, English and Science. This will take up a substantial part of your child's learning week. Alongside the core subjects are the foundations subjects: Art, Computing, Design & Technology, Modern Foreign Languages (age 7+ only), Geography, History, Music, PSHE and Physical Education. For these foundation subjects, the details in the curriculum are significantly briefer: schools have more flexibility regarding what they cover in these subjects. Much of the publicity about the changes to the curriculum have focussed on 'higher expectations' in various subjects. For example, in mathematics there is now much greater focus on the skills of arithmetic and also on working with fractions. In English lessons there will now be more attention paid to the study of grammar and spelling; an area which was far less notable in previous curricula. The principles underpinning the new curriculum reflect those found in high performing education systems internationally. If your child is achieving well, rather than moving on to the following year group's work many schools will encourage more in-depth and investigative work to allow a greater mastery and understanding of concepts and ideas. Available to download, above is information regarding the curriculum for each year. If you have any concerns or would like to discuss any part of the curriculum please do not hesitate to contact the office and make an appointment. Right from the beginning of foundation stage, phonics are taught using the Letters and Sounds scheme. We supplement this with the Jolly Phonics scheme, which incorporates actions, songs and visuals to support learning. Phonics continues to be taught throughout KS1 and KS2. We use a variety of reading schemes throughout the school including those based on phonics and high frequency word recognition. We have a range of reading schemes to meet individual needs. We encourage the children to read for enjoyment and to "read as a writer". As part of Talk 4 Writing, we use whole class sets of high quality texts, which are made available as books, on paper and electronically.